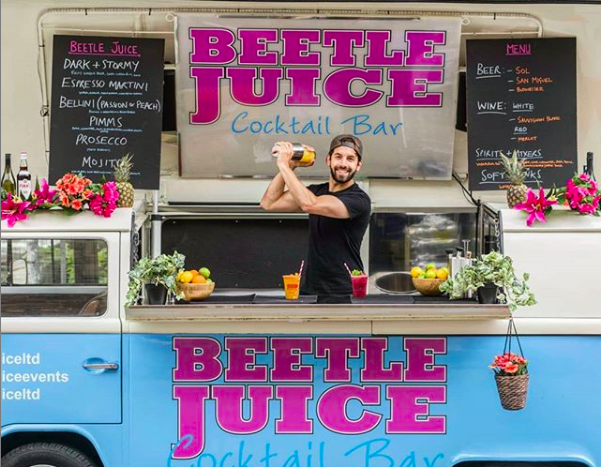 MEET THE FRANCHISEES — Beetle Juice | The original VW cocktail bar - we bring the party to you! Meet the Beetle Juice Franchisees who are taking the Party on the road. We have Franchisees straight out of college who are establishing their very first business venture wit our help, established business owners who are expanding their existing business with a Beetle Juice Franchise and Franchisees who see their Beetle juice franchise as the first step in building an entire event management business. The one thing they all have in common is an enthusiasm to deliver the same Beetle Juice experience that we have established since setting up the business in 2012. 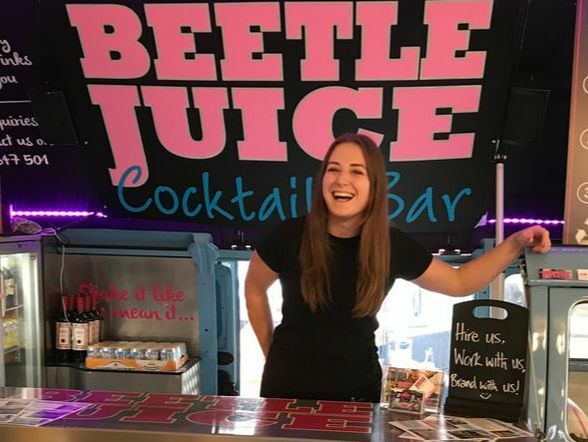 Ellie is based in Manchester and operates the Beetle Juice franchise throughout the North West area..
Ellie wanted the independence of running her own business. so has now taken on the development of the Beetle Juice business in this exciting area of the country. Toby is based in Hythe Kent and joined Beetle Juice in March 2016 having only made initial contact with us two months earlier. Toby comes from a VW Campervan family (his Dad has owned two early bay T2s) and his Mum, Dad and sister all support him in running his own business. 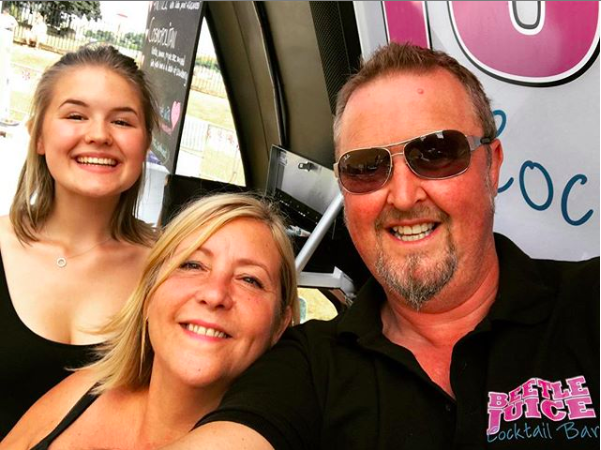 Having worked with us at a number of events and with previous bar, wedding and ski season experience he is a real 'people person' who has proven to be well suited to this type of business..
Lewis is our Franchisee who looks after the midlands area for us. He is based in Leicester but can often be found in neighbouring cities throughout the Midlands. Lewis is a good friend of Toby (Our Kent Franchisee) and developed his love for cocktails whilst working events with Toby throughout 2017. Having enjoyed that experience, Lewis caught the Beetle Juice bug. and decided to take it further by running his own business and taking on the Franchise in the busy Midlands Region..
Lewis has the pleasure of keeping "Alice" our much loved classic blue 1979 van. When not serving cocktails, Lewis is an avid musician in an ever growing band, and of course a big Leicester City Fan! Mark & Sas have been successfully running pubs in the south of England for the last 20 years . We are delighted to say they are now heading up Beetle Juice in Cornwall with our much loved Bus - Ellie. Keep your eyes peeled on the Cornish coastline for these two shaking up the drinks and bringing those parties to life. RJ comes from Cornwall but has been living and studying in Surrey where he met Beetle Juice. RJ has been working with Beetle Juice for five years, initially as a mixologist learning the ropes and he has subsequently become one of our trusted bar managers, successfully attending and running events such as Falmouth week, Falmouth University balls, Looe Festival and the ever popular Boardmasters surf and music festival. Dan & Claire have launched the Beetle Juice Franchise for North Yorkshire. Based in Leeds they will be concentrating their efforts around the Leeds, Harrogate and York areas. With an excellent background in the drinks industry, Dan and Claire are raring to go to build the business in Yorkshire. They already have many weddings parties and events in the diary for an exciting first year and are keen to develop more local partnerships and contacts for events in their area. They have one of very latest specification vans, Vera, which was built during the latter part of 2016 and early 2017 and has incorporated all of our latest design features. Sameer started with us in 2018 and is our first Scottish based Franchise working out of Edinburgh. He is the brother of RJ and has worked at many events with RJ before deciding that he wanted to take on a Franchise for himself. Edinburgh is the perfect area as not only does it host the worlds largest Festival every August but is a year long party city with an amazing calendar of events. When not serving cocktails, Sameer is a lecturer at the world renowned Edinburgh University. watch this space, Coming Soon in 2019. Max has bee working with Beetle Juice for several years, initially as a mixologist, then as a bar manager and has now taken the plunge to take on a Beetle Juice Franchise. We are continually expanding our marketing and developing new opportunities for Beetle Juice throughout the UK. We are looking for new franchisees to join us for 2019 to help us deliver these events and develop their own local franchise business. We are particularly interested in finding potential franchisees in the following areas: Ireland, the North East, the West Midlands, East Anglia & Lincolnshire, Dorset, London and the Home Counties plus other countries. Do get in touch if you are interested in joining us.